Reading just got a whole lot more fun! 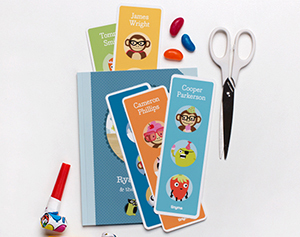 Use our personalised bookmarks to keep your page and get to know some of our super sporty characters at the same time. Yay! Keep track of all the excitment in the upcoming games with this personalised Medal Tally. Watch your countries progress and celebrate each new medal you can add to the tally... go team go! Hooray... You've just won a gold medal! Backyard sport games and races have never been so much fun with a monkey approved personalised medal as a reward at the end. On, your marks, get set, go! Hooray... You've just won a silver medal! Backyard sport games and races have never been so much fun with a monkey approved personalised medal as a reward at the end. On, your marks, get set, go! 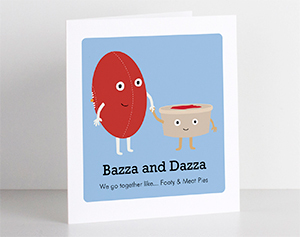 Hooray... You've just won a bronze medal! Backyard sport games and races have never been so much fun with a monkey approved personalised medal as a reward at the end. On, your marks, get set, go! Is it a frog? Is it a monkey? No - it's your cheeky little monkey wearing a froggy mask! There is plenty of dress up fun to be had with our set of personalised masks. 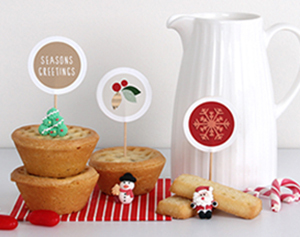 Create the cutest little treats in town with our super fun cupcake toppers. 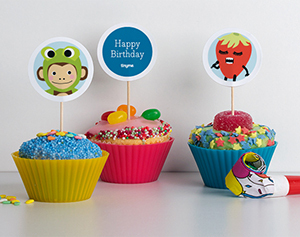 Quick and easy to make, they're a great activity to do with the kids before your next birthday party! 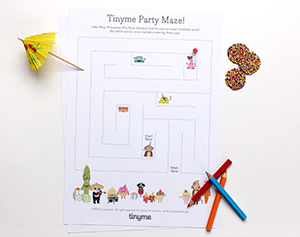 Get that clever little brain working as you help Altug Wooptang find his way through the maze to the birthday party! But watch out for the crazy monsters wearing dress ups along the way! Ready, set... play! 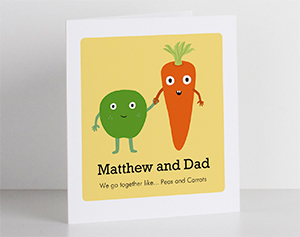 Print out your playing cards and learn all of your favourite loopy characters as you play snap, memory or go fish. Set includes 32 playing cards and instructions sheet. 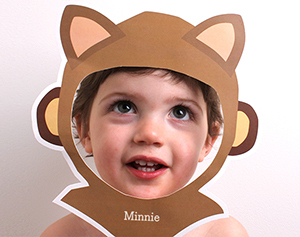 Your foxy little lady or gent will be oh so cute in our foxy monkey mask! 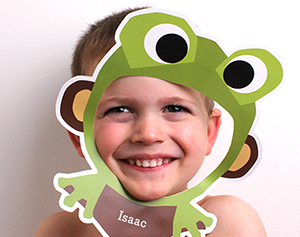 There is plenty of dress up fun to be had with our set of personalised masks. Reading just got a whole lot more fun! 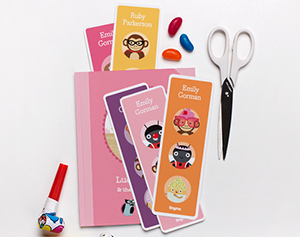 Use our personalised bookmarks to keep your page and get to know some of our loopy characters at the same time. Yay! 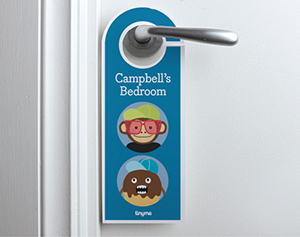 Make your little ones room their own with our super cute personalised door hanger. Double sided = double the fun! Two colours and four different characters for them to choose from day by day. I scream, you scream, we all scream for Ice-cream! 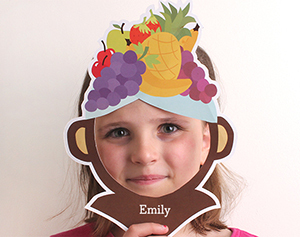 There is plenty of dress up fun to be had with our set of personalised masks. 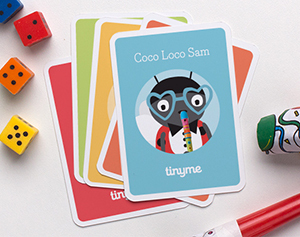 Meet the tinyme gang! 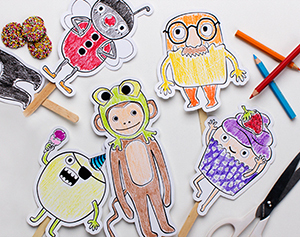 Colour in our six crazy characters and then cut them out to make your very own tinyme puppets. 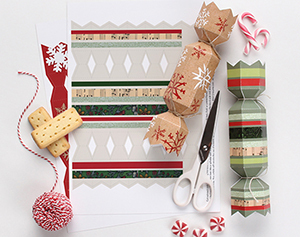 Great crafty activity to enjoy with kids. 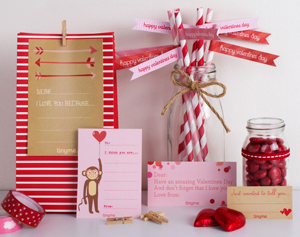 Let the fun begin... watch your little one transform from a super cute little guy or girl into a fabulous cheeky monkey! 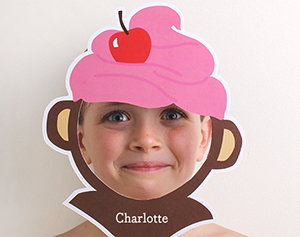 There is plenty of dress up fun to be had with our set of personalised masks. 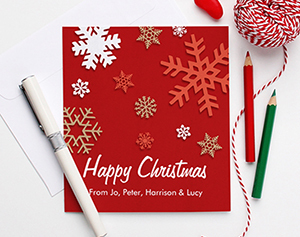 Spread the Christmas cheer this year with an extra special personalised card from tinyme! 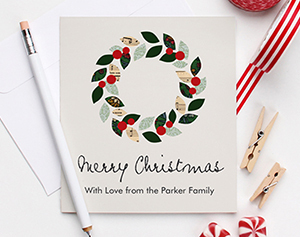 Personalised on the front and blank on the inside so you can write or draw a special Christmas message to your loved ones. 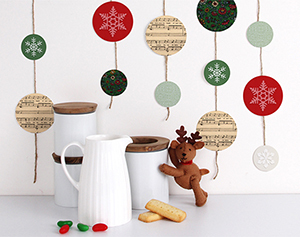 Use our gorgeous garland to deck the walls or even hang around the Christmas tree! A really fun and easy way to decorate the house with the little ones this year, simply cut out the circles and attach them to string or twine. Once completed, hang from the walls, the fire place or wherever takes your fancy. 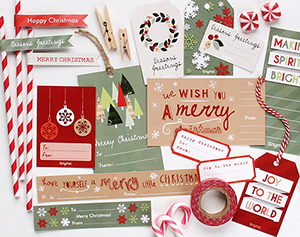 Add the perfect finishing touch to all your gifts and presents this year with our super cute assorted gift tags. 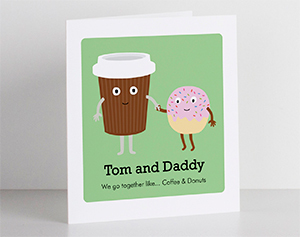 With lots of different shapes, sizes and designs to choose from you'll be spoilt for choice! 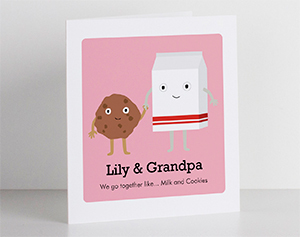 5 pages of FREE Valentine's Day printable fun! 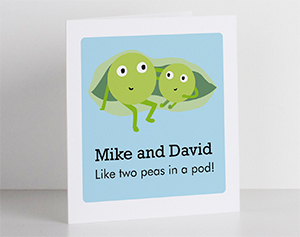 Spoil that special someone... whether it be your hubby, your little ones or a friend. 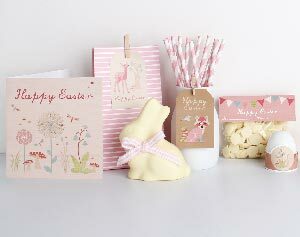 The 'woodland creatures' easter printables range includes assorted gift tags, bag labels, egg rings & a greeting card. The perfect way to make your easter 'egg-cellent'! 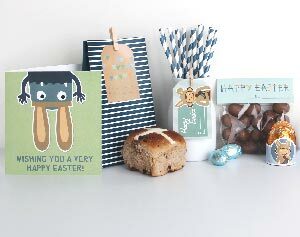 The 'loopy' easter printables range includes assorted gift tags, bag labels, egg rings & a greeting card. The perfect way to make your easter 'egg-cellent'! 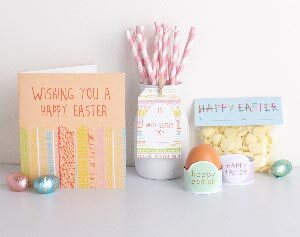 The 'very vibrant' easter printables range includes assorted gift tags, bag labels, egg rings & 2 greeting cards. The perfect way to make your easter 'egg-cellent'! 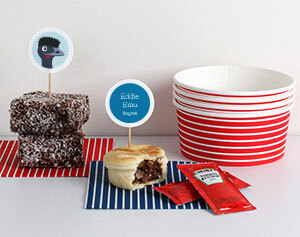 Celebrate ANZAC Day with the kids this year with these meaningful & educational activities. A great way to remember and honour our brave ANZAC soliders. 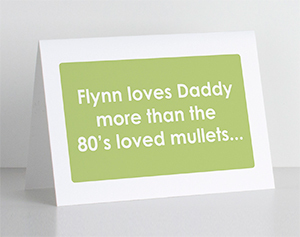 Show Mum just how much she's loved this Mother's Day with a card from tinyme! Simply download, print and cut-out!